Published on May 31, 2013 in Legacy 2014. 0 Comments Tags: Forestry Commission, mini games. 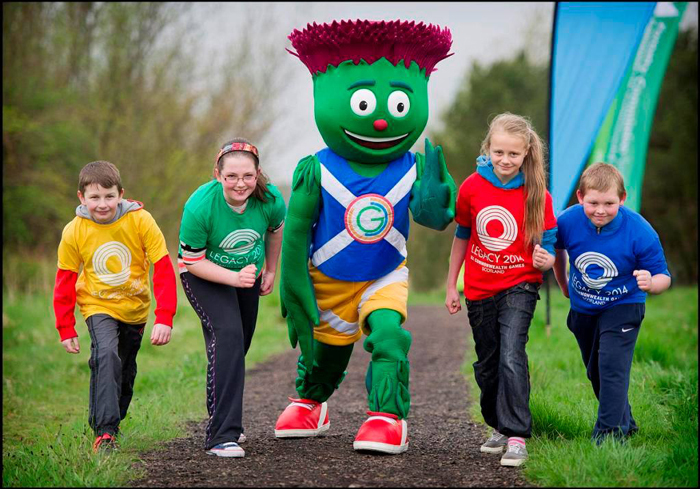 Around 90 children were joined by Clyde the official Commonwealth Games mascot, as they competed in Glasgow’s first Woodland Games in Drumchapel. The event, which took place in Garscadden Woodland in the north west of the city, saw nine and 10-year-olds from Camstradden Primary School, St Clare’s Primary School, Antonine Primary School and Langfaulds Primary School competing against one another to win a trophy made from Oak for their school. Pupils competed in various sports, including cross country running, archery, tug of war, javelin, long jump, tree touch, relay and short putt. Organised by The Forestry Commission Scotland (FCS) the event aimed to inspire young people to use their local woodland and catch the Commonwealth spirit. Published on May 28, 2013 in Glasgow 2014. 0 Comments Tags: Queen's Baton Relay. Glasgow-based product design company 4c Design Limited has today (Tuesday, 28th May) been revealed as designers of the iconic Queen’s Baton that will visit all 71 competing Commonwealth Nations and Territories ahead of the Glasgow 2014 Commonwealth Games. Set up in 2002, 4c Design Limited has an established record as a leader in the fields of product design and product design engineering. The innovative design culture for which the consultancy is celebrated will now be applied to this unique commission to produce a confident symbol that will lead the way to Glasgow 2014. The Queen’s Baton project will be led by William Mitchell, 4c Design Director, who has more than 15 years of experience since graduating from Glasgow School of Art with a BA (Hons) in Product Design. He will lead a team of specialist designers including Managing Director of 4c Design Limited, Robin Smith, a graduate in Product Design Engineering from the GSA. The baton will be unveiled later this summer and begins its journey on 9 October at Buckingham Palace when Her Majesty The Queen will place Her message to the Commonwealth inside. From there, the baton will travel to Glasgow and begin its epic worldwide journey. “The Queen’s Baton Relay is one of the greatest traditions of the Commonwealth Games. The baton itself is a powerful symbol of the unity and diversity of the 71 nations and territories of the Commonwealth, which is home to one third of the world’s population. “Glasgow 2014’s Queen’s Baton Relay is Scotland’s heartfelt invitation to the athletes, people and communities of the Commonwealth to come together and celebrate sport, culture and unity through the power of the Games. “The Glasgow 2014 Queen’s Baton will be unique and inspiring and we want it capture the imagination of the public in Glasgow, Scotland, the Home Nations and beyond. “The team at 4c Design have a passion for product design and engineering excellence, and as such we truly believe there is no better home for what is potentially the most exciting design brief of the decade. “We are delighted that the Glasgow 2014 team has appointed 4c Design to design, engineer and manufacture the Queen’s Baton for the 2014 Commonwealth Games. “Teamwork has been crucial to the development of the baton and it’s been a master class in creative collaboration with the professional and receptive team at Glasgow 2014. Published on May 28, 2013 in Glasgow 2014. 0 Comments Tags: East End of Glasgow, Impact. Four out of five residents of Glasgow’s east end think the Commonwealth Games will have a positive impact in their area according to a study published today. Over a thousand people from Bridgeton, Calton, Camlachie, Dalmarnock, Gallowgate and Parkhead were asked their views in summer 2012 on the impact of significant investment in improved infrastructure, sports facilities and housing associated with the Games. 37 per cent agreed they have influence in decisions made about their local area. Feelings of safety walking in the area at night-time were lower (by 11 percentage points) than across the city as a whole. “The 2014 Commonwealth Games are central to the transformation of the east end of Glasgow, regenerating the area and creating physical, economic and social benefits for all. “With the new Emirates stadium in place, the transformation of Bridgeton Cross, the creation of the Athletes Village and the Tollcross swimming pool being upgraded to a world-class standard, the investment to date has seen a dramatic change in the local landscape. “As part of our firm commitment to delivering a lasting legacy from the Games, it’s vital we undertake robust evaluation in the run up to 2014 and beyond to understand how the Games are impacting on the lives and health of our communities. “The survey findings show that parts of the East End of Glasgow are already changing as a result of developments over the past few years, and that residents are aware of these improvements. But the results also show the need, and indeed the scope, for further action to achieve the legacy aims identified for the Commonwealth Games, for example around physical activity and neighbourhood quality. “sportscotland is using Glasgow 2014 as a catalyst to accelerate our plans for implementing a world-class sporting system at all levels, and we want people from all over Scotland to be inspired by hosting this top-level multi-sport event and to take part in more sport and physical activities. The ‘GoWell’ study in the east end of Glasgow, a partnership between the Scottish Government, NHS Health Scotland and sportscotland, will record over five years the changes to health and quality of life of east end communities as a result of the significant investment in the area. 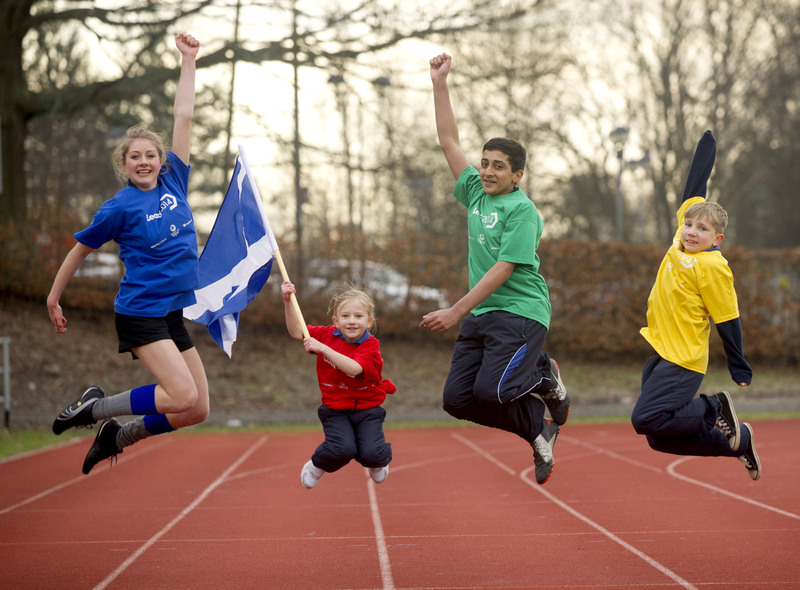 The Scottish Government is committed to ensuring the Games delivers positive and lasting benefits for the whole of Scotland through Legacy 2014, the Government’s programme to capitalise on the economic, social and cultural advantages of the Games. Published on May 22, 2013 in Glasgow 2014. 1 Comment Tags: volunteering. 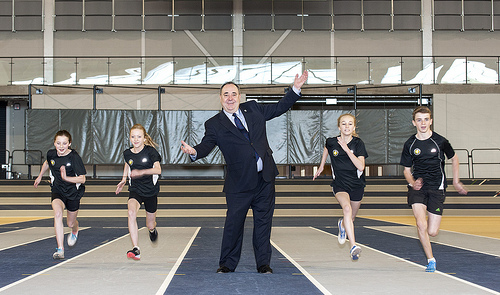 First Minister Alex Salmond with young athletes at the Emirates Arena. A thousand new training and volunteering places are to be made available to young unemployed Scots to help them gain valuable employment skills and work experience as part of the 2014 Commonwealth Games Legacy programme. Scotland’s Best – backed by £2.4 million from the Scottish Government’s Legacy 2014 Young Person’s Fund – will see 1,000 jobless Scots, aged 16-24, offered a place on a part-time employability programme. Many of the volunteering opportunities will be at sporting and cultural events such as the World Pipe Band Championship, the Gymnastics World Cup and Celtic Connections. Published on May 16, 2013 in Glasgow 2014. 0 Comments Tags: tickets. Two-thirds of tickets to experience the action and thrills of the Commonwealth Games will be priced at £25 or less, it was revealed today. Announcing a family-friendly ticketing strategy focused on delivering packed stadia and a ‘Games for Everyone’, the Glasgow 2014 Organising Committee unveiled that access to sporting events at one of the world’s greatest multi-sports Games will start from just £15 for adults. Half-price concessions will also be available for children – a Commonwealth Games first – and the over-60s. The price of a ticket includes access to public transport in the local area on the day of your event. At a launch briefing in the city today attended by Olympic and Commonwealth athletes, Glasgow 2014 promised a simple and accessible ticketing process and pledged that at least 70% of all tickets to all sporting events would be available to the public. The Games Competition Schedule was revealed for the first time and it gets off to a flying start with 12 sports on Day One, including Swimming and Track Cycling. 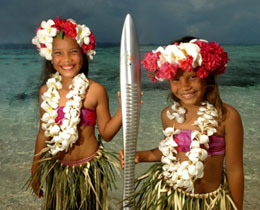 The first weekend will be very busy with both Rugby Sevens and Weightlifting expected to attract peak audiences. It was also announced that the ticketing process will launch on August 19, 2013 and ticket applications can be made online with debit or credit cards. A postal application service will also be available. Commonwealth and Olympic Scots athletes David Carry and Rhona Simpson backed the Ticketing Programme and joined Olympic, Commonwealth and World champion triple-jumper Jonathan Edwards at the launch this morning. “This is a big day for Glasgow 2014 and one that has taken a substantial amount of planning. This isn’t just about selling a million tickets. It’s about making the Games accessible to all. We have spent many months designing a Ticketing Programme that reflects the vision and values of Glasgow 2014. Today’s the day we set out our stall. “We have listened and learnt from previous Commonwealth Games as well as the London 2012 Olympic and Paralympic Games. We’ve also conducted our own research. We’ve thought long and hard about the pricing, the process by which you’ll buy tickets, but also the way we communicate. “Our focus in developing a Ticketing Programme for Glasgow 2014 has been to make these the most family-friendly, accessible and inclusive Games we possibly can. That means having a simple, straightforward application process, a pricing structure which is accessible and methods of payment which do not exclude anyone. “Glasgow 2014 presents the opportunity to enjoy a festival of world-class sport. We want to have our venues packed with people who can experience the excitement and action of elite sporting performances at first hand and be part of the action. “Having experienced the spine-tingling and unforgettable atmosphere of London 2012 and the passion of crowds at previous Commonwealth Games, I have no doubt that the athletes hoping to take part in the Commonwealth Games in Glasgow will have something incredibly special to look forward to. “Having packed stadia and enthusiastic crowds is what absolutely makes for an electric atmosphere at competition time – and that can really impact positively on performance. I know Scotland’s swimmers will enjoy the home advantage of a Scottish crowd shouting, screaming and supporting. Everyone will have the opportunity to apply for the tickets they want over a four week period when the ticketing process opens later this summer. An allocation of tickets has also been earmarked for special distribution to identified groups and communities. More details will be announced this summer. athletes from the Commonwealth of Nations. The event was first held in 1930 and takes place every four years. Glasgow 2014 will be the 20th Commonwealth Games and will be held from 23 July to 3 August. It will feature 17 sports in 11 days of competition with 261 medal events on show. The Games will play host to 4500 athletes and sell 1,000,000 tickets with the event aided by an army of 15,000 volunteers. Glasgow 2014 Ltd is the official name for the Organising Committee tasked with delivering the Games in partnership with the Scottish Government, Glasgow City Council and Commonwealth Games Scotland. 2. Glasgow 2014 family of official sponsors is Longines, SSE, Emirates, Harper Macleod, Search Consultancy, Ernst & Young, Atos, Dell, Toshiba TEC, A.G. Barr, NVT Group, RGS, Trespass, Riedel and Ticketmaster. 3. The first phase of ticket sales will be open from 19 August to 16 September. It makes no difference whether you apply on the first or last day of this four-week window. For high demand sports and sessions that are oversold – such as the 100m final – an independent and computerised draw will select the successful applications. 4. You apply for the tickets you want. It’s not a lucky dip – there is absolutely no chance of requesting tickets for, say, Netball and being given tickets for Table Tennis. Similarly, if you ask for four tickets, you will either be successful or unsuccessful in your application for four tickets. You will not be offered one, two or three tickets. 5. A minimum of 70% of tickets for every sport session will go to the general public. This is different to most sporting events that use a general average – so some events might be as low as 30% public tickets, where others are 95%. For Glasgow 2014, whether it’s a preliminary session on the first day or the 100m final, a minimum of 70% of sport tickets will be available for general sale. 6. A pricing example is the 100m final: Tickets for this start at £20, and go up to £30, £40, £60, £70 and top price of £90. A half-price concession ticket of £15 applies to the £30 ticket. Take an earlier round of the Athletics competition, and the prices look like this: prices start at £15 (remember, this is the entry price for EVERY SPORT), and then £20, £30 and £40. Half price concessions apply across all these prices. (Concessions are available at all sporting events, but are limited for the medal sessions). 7. For Athletics, there are six price categories, but for most events we’ve just gone for two or three price bands to keep it simple. 8. For example Rugby Sevens and Rhythmic Gymnastics prelims have the same prices: £15 (£7.50 concession), £20 (£10 concession) and £25 (£12.50 concession); Weightlifting final would cost you £20 (£10 for kids) or £25. 9. Only 8% of tickets are set aside for sponsors. Our sponsors pay for tickets like everybody else. 10. Prices for the Opening Ceremony start at £40 and the Closing Ceremony at £30. 11. Ticket applications will be accepted online or with a Ticket Application Form (available within the Ticketing Guide which is published on 23 July). Published on May 13, 2013 in Games Legacy and partnership. 2 Comments Tags: curriculum, event, interdisciplinary. School leaders, local authority staff and those with a whole school responsibility for Games Legacy, including cluster initiatives and wider curriculum remits related to the Games (e.g. health and wellbeing). On Monday 17th June, there will be just 401 days before the biggest multi-sport and cultural event ever to come to Scotland opens in Glasgow. That’s less than 58 weeks! Fortunately, education establishment across the country are already preparing to incorporate learning opportunities around the Commonwealth Games in the next academic year and this event is designed to help you join their number. • cluster and local authority initiatives. 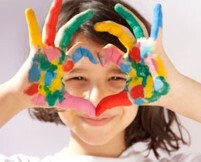 Glasgow 2014 Athletes’ Village Art Competition – register your interest now! 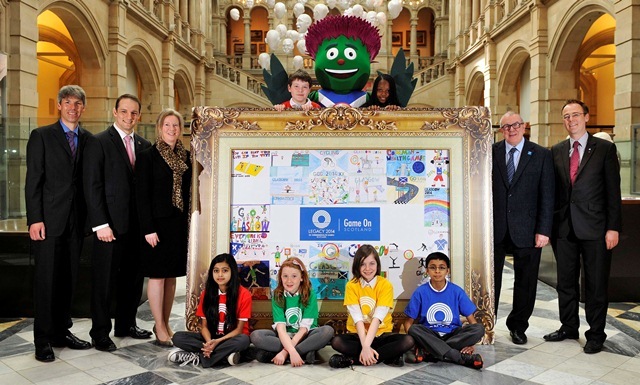 Published on May 7, 2013 in Art, Competition, curriculum, Games Legacy and Glasgow 2014. 0 Comments Tags: art, athletes' village art competition. Game On Scotland is asking every school in Scotland to get their pupils to design posters to be placed in the rooms of the Athletes’ Village. 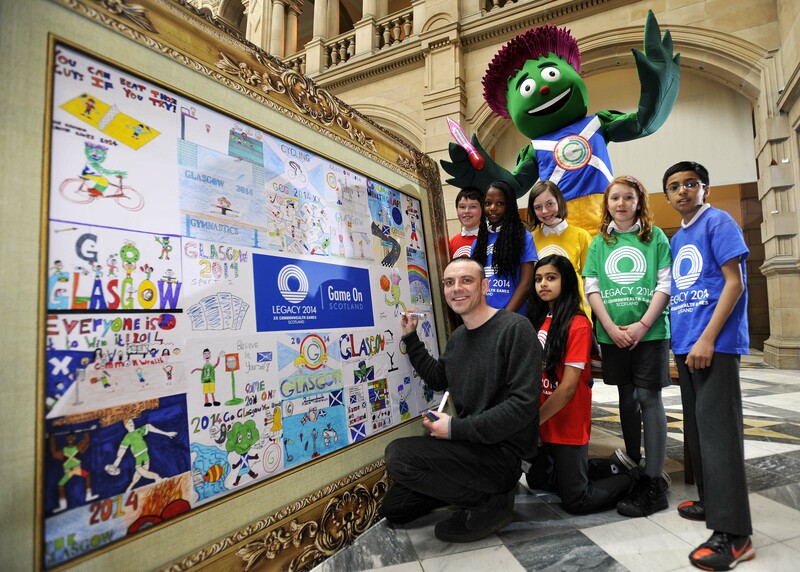 We’ll guarantee to every individual school that takes part that their chosen artwork will be displayed in the village – your pupils’ work could end up in the bedroom of Usain Bolt, Tom Daley or any of the talented athletes coming to Scotland from all over the world. At the end of the Games, athletes and officials will be encouraged to take your art as a gift from the people of Scotland and, excitingly, to write back to you offering their thanks. Pre-register you interest for the competition now. Published on May 7, 2013 in Clyde, Competition and Glasgow 2014. 0 Comments Tags: Game On Challenge, prize draw. Is your school or organisation planning to mark the Commonwealth Games with a specific initiative? A fun run or sports day perhaps? Getting involved in the Queen’s Baton Relay? A whole school initiative? Or is your local authority running a Mini Games programme? No matter how big or small your Games related initiatives are we invite you to share them through the Game On Challenge and add to the excitement now building towards Glasgow 2014, the biggest multi-sporting event ever hosted in Scotland. Your school/organisation will be showcased on the Game On Challenge interactive map alongside other entries from across the UK and beyond. This will provide others with ideas and inspiration for learning through the Games. Every school and organisation that takes part will receive an official ‘Game On Scotland’ certificate. Education establishments may also be eligible for a Game On Scotland plaque in recognition of imaginative ways they have used the Games as a context for learning. All entries will be in with a chance to win exclusive Glasgow 2014 prizes. Scottish schools who sign up by the 24 May will be entered into a free prize draw to receive a visit from Clyde, the official mascot for the Games. How do we share our challenge? Simply visit the Take the challenge page and complete the form. Published on May 2, 2013 in Clyde, Games Legacy and Glasgow 2014. 0 Comments Tags: education, interdisciplinary, resources. The official education programme around the 2014 Commonwealth Games was launched at Kelvingrove Art Gallery yesterday providing a unique opportunity for Scottish pupils to join the challenge of creating 6500 pieces of art to decorate the bedrooms of athletes and officials from across the Commonwealth. Using the Games and its 17 sports as creative inspiration, primary and secondary pupils will be challenged to come up with 6,500 pieces of artwork to decorate bedrooms in the Athletes’ Village where the athletes and officials from across the Commonwealth will be staying. The winning designs will be gifted to the visitors as a memento of their time in Scotland, and athletes will be encouraged to send a note expressing their personal thanks back to the young artists. X-Men and Superman illustrator Frank Quitely joined pupils from Hillhead Primary to urge schools to get involved and make their mark on the Games. Unveiling a giant frame containing the Hillhead pupils’ early designs, Glasgow 2014 Chief Executive David Grevemberg, Minister for Commonwealth Games and Sport, Shona Robison, and Dr Alasdair Allan, Minister for Learning, Science and Scotland’s Languages also added their artwork. Game On Scotland will provide many more inspirational opportunities using the Commonwealth Games as an inspiring and fun context for learning across the curriculum. With the website now live, teachers and educators across Scotland and throughout the Commonwealth can access a range of educational resources for learners of all stages including film and image banks, Games history, sport profiles and materials on the Commonwealth.